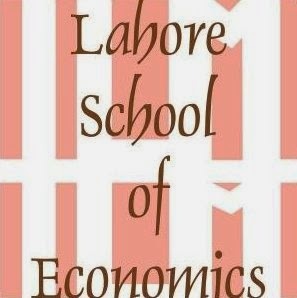 The latest issue of the top ranked Lahore Journal of Economics (Volume 21-1, January-June, 2016) is now available online. Husnain, Hassan and Lamarque compare covariance estimators used in portfolio optimization. Using data for 5 emerging market economies (India, Indonesia, Pakistan, the Philippines, and Thailand) the authors find no significant benefits to using more complex covariance estimators. Mumtaz, Smith and Ahmed estimate the aftermarket performance of initial public offerings (IPOs) listed on the Karachi Stock Exchange. They find that IPOs generate abnormally high returns in the short run but underperform in the long run. Khan and Khan estimate the impact of remittances on school enrollment and education attained for Pakistani children. They find that remittance receiving households are more likely to enroll children in school and the impact is larger for girls than boys. Khan, Shah and Khan examine the behavioral aspects of electricity consumption by comparing energy consumption patterns in a sample of student hostels. They find that public sector hostels consume significantly higher electricity and that little attention is given to energy conservation by students and university administrators. Noreen and Ahmad look at the impact of financial sector reforms on the efficiency and productivity of Pakistan’s insurance sector. They find that the sector is generally inefficient, that large firms are relatively inefficient and that private sector firms tend to more efficient than public sector firms. Awais looks at the latest South Asian Free Trade Agreement (SAFTA) revisions using the example of Bangladesh’s exports of readymade garments (RMG) to India. The author finds that despite Bangladesh’s strong comparative advantage and an apparently high level of trade complementarity between the two countries, Bangladesh exports to India have failed to increase. The author attributes this to a combination of Indian nontariff measures and domestic export incentives.